Grilled Black Mission figs. Just add honey and goat cheese for a classic dessert. While we try as much as we can to eat from our own garden and orchard, sometimes we get impatient and succumb to temptation. And that is the case with mission figs. Ours are coming in, but still a few weeks away. Meanwhile the farmers market is just brimming with ripe, beautiful, black mission figs. And we are huge fans of mission figs, so we gave in and bought some. Whatever feelings of guilt we had, if any, didn’t last long. And if you enjoy figs, you know why we had to give in. There are few fruits so pretty, sweet, juicy and easy to enjoy- figs are easy to love (good for you, too). And it has been that way for thousands of years. 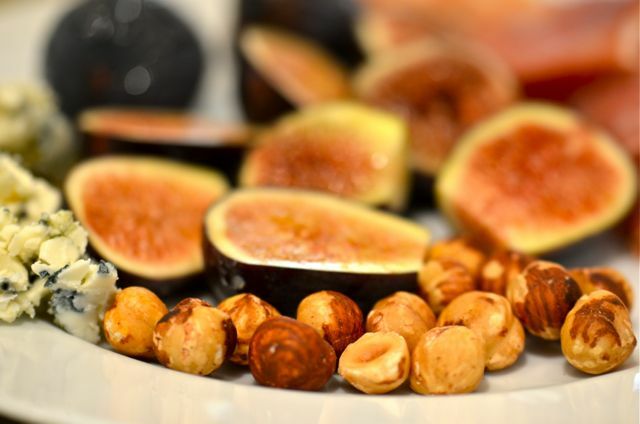 Figs are one of our oldest and most established foods, and were a treat in almost all the early mediterranean cultures. Greco-Roman mythology, the Bible and the Koran are filled with references to figs, and even the Buddha achieved enlightenment under a fig tree. It’s safe to say that figs have been enjoyed for quite some time. 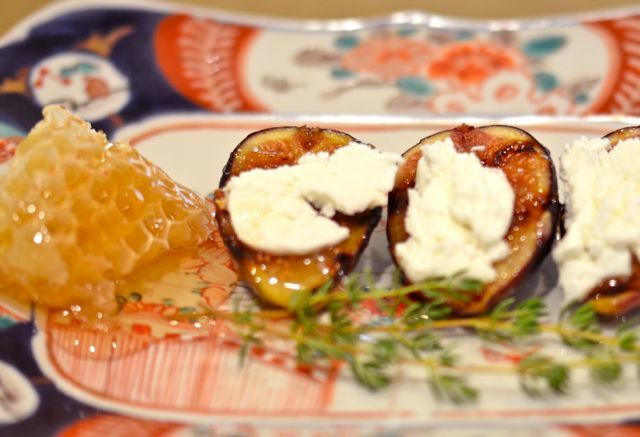 Grilled Figs with Honey and Goat Cheese. To make the dish, you simply heat a grill or grill pan over high heat. 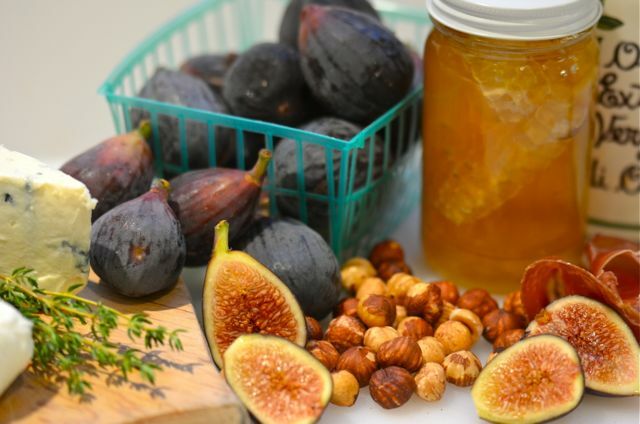 Then lightly brush the figs with vegetable oil and place them on the hot grill and cook for 1-2 minutes on each side, or until the figs caramelize and soften. Then remove from the heat drizzle with honey and add some fresh goat cheese to each fig. You can also add a bit of rosemary and/or thyme to the honey, if you like. (We used our honey, a real treat). And the flavor is very, very good. 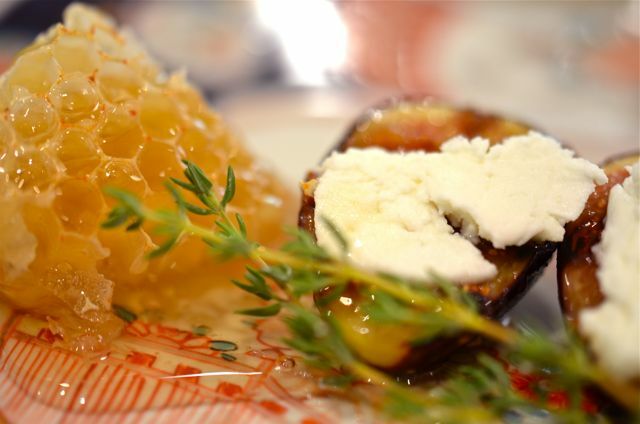 This dish is openly sweet from the caramelized figs and the honey, but balanced by the slightly sour tang of the goat cheese. You could eat this dish as a starter, but it’s best as a dessert. And if you don’t like cheese in desserts, this recipe will change your mind. Our other recipe for figs could be served as a dessert, but we think is best as a starter or light lunch. 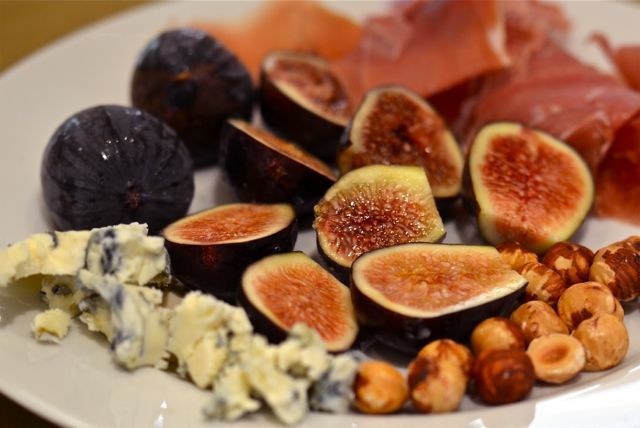 This dish simply combines sliced ripe figs, blue cheese, hazelnuts and cured ham like Serrano or prosciutto. This is so easy to make, it’s almost hard to call this a “recipe”, but the flavor combinations are truly special. Sweet figs, funky blue cheese, earthy hazelnuts and salty ham cover all the flavors- and multiple textures. A great dish offers an array of flavors and textures so each bite is exciting, and this dish delivers. And it is fun to experiment, just put out a plate and enjoy different combinations. What You Get: A classic, and probably ancient, dessert with fresh figs. How Long? 5-10 minutes. Anytime dish when figs are in season. Heat a grill or grill pan over high heat. 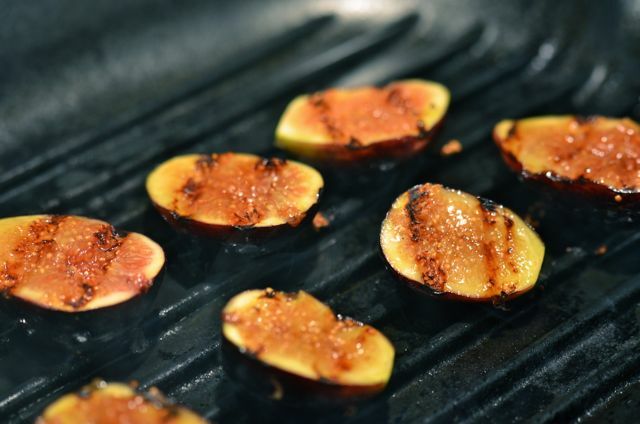 Lightly coat the sliced figs with the oil and place, cut side down, on the hot grill. Cook the figs for 1-2 minutes, or until they caramelize and show grill marks. Then flip and cook for 1-2 more minutes and remove from the heat. Place the fig halves on 4 individual serving plates and drizzle a tablespoon of the honey on each of the plates. Then place a dollop of goat cheese on each fig. Garnish with a sprig of thyme or rosemary, if you like. Serve. You can substitute any quality cured ham like prosciutto for the Serrano, but if you have access to Serrano- it’s worth it. Vary the amount of ingredients based on how you serve the figs. Assume 2-3 figs per person as a side and 4-5 per person for a larger plate. What You Get: A very well-balanced starter or light lunch that makes the most of the figs in season. A great dish to serve with wine (Champagne is very good here). How Long? 5 minutes of assembly. Anytime dish when figs are in season. Slice the figs and arrange on a serving plate. Add the ham, hazelnuts and blue cheese. Serve. Figs … just bring them on … in tons !!!! One of my most popular starters is brie filled figs wrapped in Parma ham drizzled with some honey and grilled in the oven. And one of my most memorable dishes was “grilled fresh foie gras with fig jam” at The Peninsula Hotel in Hong Kong. This goes on file .. and thanks for the wonderful post and photos. Yes, figs in any form will do me fine .. and I can stuff myself with fresh ones – we never get them in a good quality and far too expensive. Such good combinations. I love the photo with the goat cheese thyme and honey. just have that reaction… I love your referencing back to ancient times and the foods we’ve eaten through out human history – is very cool! And our climate is just on the edge for figs..they look good now but we are one cold snap away from disappointment…our fingers are crossed. Devine. Figs are so beautiful and go so well either sweet or savoury. Thanks- and thanks for visiting! Yum, this all looks great! That is very cool! We may follow up and make fig jam (or strawberry, not sure yet)…you may see a post soon! I’ll try to post mine soon too! The more I read the more I love!! Those Figs look incredible!! YUM!! Thanks for the kind words! It is a great dish…worth a try..
Figs and cheese is the key! Love these recipes. Have you ever tasted fig jam, goat cheese, and proscuitto pizza? Wow, that sounds great. We actually make a pizza of sliced figs, fontina and proscuitto. But the fig jam / goat cheese sounds great….we will certainly try. Thanks! What a perfect combination of ingredients! Lovely! Thanks for sharing. 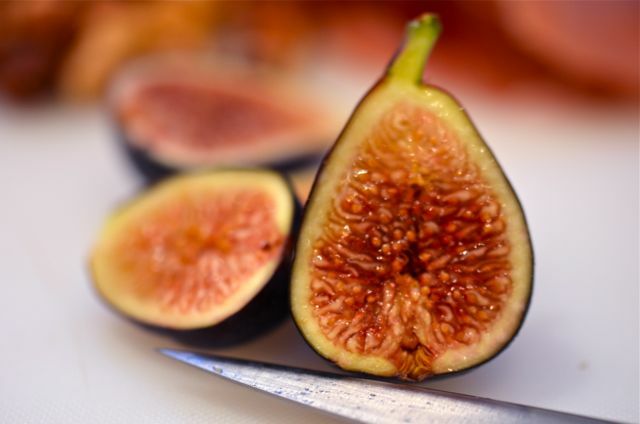 I’m so jealous… I tasted fresh figs in southern Italy and loved them. The only fresh figs we can get here are imported. Watery, lacking taste, often even mouldy. Not to mention expensive, more than $1 each. Thanks. Figs do over-ripen quickly and don’t travel well. 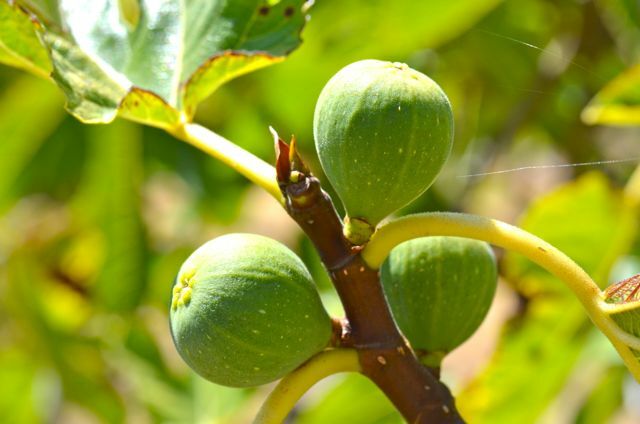 In California we almost take them for granted, which is too bad, they are a very special ingredient..
11-4-13 Admiring your feast of figs photo found on Google search images. Thank you, Putney Farm!